Children Children of all ages are invited to use their imagination and creativity! These fun-filled, 60-90 minute programs feature a different story each week, followed by songs and supplemental activities. 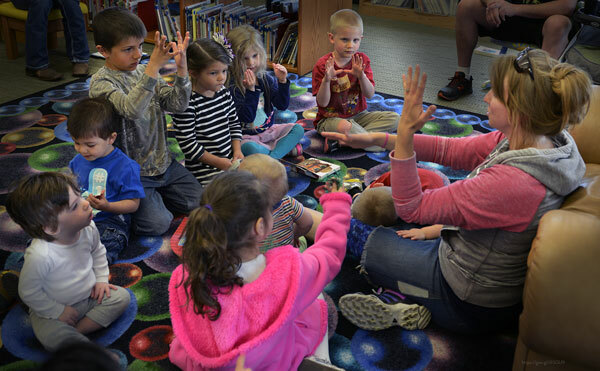 Offered in partnership with the Family Resource Center, these story times meet regularly; however, occasional breaks are possible due to Family Resource Center scheduling. Call 715-848-1457 for the latest information.